The Indian Space Research Organization (ISRO) successfully orbited the country’s new communications satellite, GSAT 6A, this morning from the Satish Dhawan Space Center in Sriharikota. This is the fifth successful mission in a row for ISRO’s GSLV Mk2 since the agency redesigned the rocket in 2014. The launch offered ISRO the opportunity to test new launch capabilities intended to support future missions, including India’s second lunar exploration mission Chandrayaan 2 set for this fall. GSLV’s second stage flew with an upgraded Vikas engine for the first time, which has an enhanced payload capability of 50 percent, according to The Times of India. Like its predecessor GSAT 6, GSAT 6A operates in the S-band and has a lifespan of approximately 10 years. The satellite will provide mobile communications throughout the country in combination with handheld ground terminals, and will also provide communications services for the Indian Armed Forces. 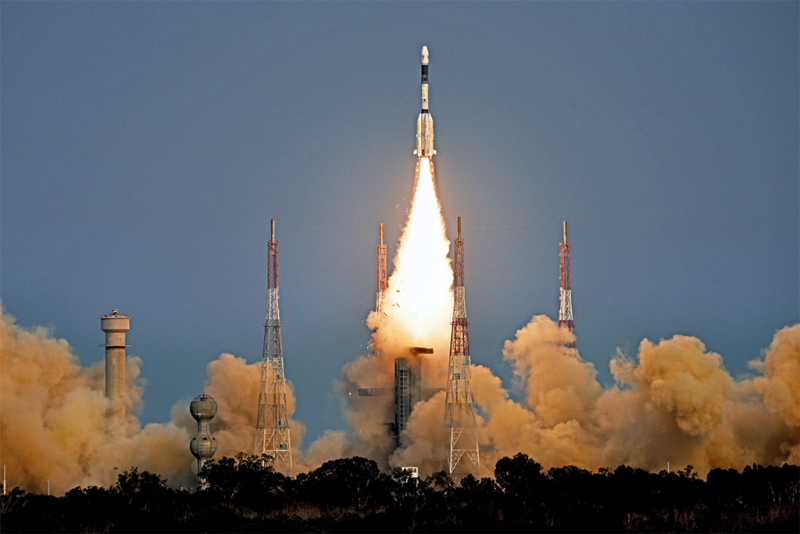 The post ISRO Tested New Launch Capabilities with GSAT 6A Mission appeared first on Via Satellite.